Total body training is the way forward if you want to build huge slabs of muscle, boost your strength and bulletproof your gains. 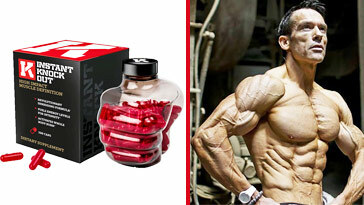 The aim of any bodybuilding program is to maximize muscle mass and optimize results. For years and years, old school bro lifters adopted muscle split training to get well-developed, massive physiques. They’d train one or two muscles per workout and absolutely smash their bodies with set after set of heavy weights and high volume. It worked well too judging by how many of those old schoolers looked. The problem was that in order to build consistency, they were in the gym 5-6 times per week. And if they missed a workout, it’s be another full week before they could train that muscle again. Bottom line is that as a drug free lifter, total body training builds more muscle. Before we go on to show you why total body training is the best kind of hypertrophy workout, we wanted to go over some of the fundamentals of muscle building. That way you’ve no excuse for not developing a huge, vascular and lean physique that’s strong and shredded in equal measure. If you’re not following these muscle building principles, shame on you, you skinny b*tch. You can’t get jacked lifting the same old weights week after week. Progressive overload means challenging your body with a stimulus that it’s unaccustomed to in each workout you have the pleasure of taking on. At week 1 you might be able to just about squeeze out 10 reps of bench press with 200 lb. But the more you train, the lighter that weight begins to feel. Eventually you’ll be smashing out 20 reps no problem. As soon as you can hit the upper target of your rep range you’ve got to increase the weight, or your muscles just won’t grow. Volume load refers to the number you get when you multiply the weight you lift by the reps and sets you perform. For example, if you were to perform 3 sets of 10 reps on that bench press with 200 lb you’d get a total volume of 6000 lb. If you achieve a volume load that was higher than that (by either lifting heavier or completing more reps and sets) you’d stimulate better muscle hypertrophy results. Because higher volume loads are a good metric to measure muscular work and a direct stimulus for hypertrophy. Although everyone is different, aiming for somewhere between 15-25 total sets per muscle, per week seems to be the right amount of weekly volume load for most people. The nearer you train to fatigue in each set, the more muscle fibers you activate. Training to a point where you can’t finish another full rep also helps you understand when you’re ready to ramp up the weight to achieve progressive overload. 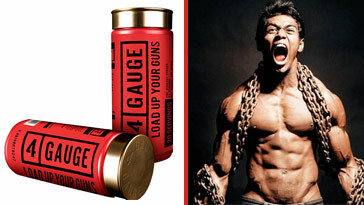 Because you can measure the improvement in rep range as you go. You don’t have to train to absolute muscle failure where your muscle reflexively turn off half way through a rep, but training to the point where you can’t squeeze out another full rep is important for progression. There’s actually nothing wrong with muscle split training at all. If you’ve got the time, recovery capacity and energy to push each muscle through enormous amounts of volume once per week, good luck to you sir. But for those that prefer to train clever, total body training provides a muscle building program that balances high weekly volume with optimal recovery. Although many lifters think that total body training is just for beginners, more and more research is showing that even the most advanced bodybuilders can benefit from following a full-body hypertrophy workout plan. You can recover much faster – because you’re total number of sets per muscle, per workout is low (in comparison to split training) you can recover quickly between sessions. You’re fresh for each exercise – when you train one muscle group repeatedly you get fatigued. This means each set you perform has to be lighter and lighter, reducing overall workout volume. Splitting up muscle groups means more load shifted in each set. Avoid excessive soreness – load volume is lower in each individual workout you won’t get as sore. Less chance of overreaching – when you train a muscle, you create muscle damage. And while microscopic damage is part of the stimulus-hypertrophy cycle, excessive training to the point of annihilation can leave you overreaching and unable to fully recover and grow. Could provide a better calorie burning stimulus – due to working more total muscle mass, full body workouts might promote fat loss much more effectively. 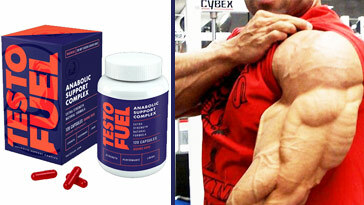 Anabolic hormone stimulation – activating more muscles per workout has been shown to elevate growth factor hormones. While this might not be a primary driver of muscle growth, it’s certainly not a bad thing. Less exercises needed – when you follow a bro split you tend to use 6, 7 maybe 8 different exercises. With full body workouts you don’t need that much variety. Aim to train each major muscle group 2-3 times per week to optimize the muscle hypertrophy stimulus. Train to fatigue in every set and follow principles of progressive overload. Leave at least 48 hours before training the same muscle. Focus on compound lifts and use isolation exercises less frequently. In this workout schedule you’ll need to clock your gym membership card 4 times per week for 6-8 weeks. However, if that’s too much you can start off with 3 workouts and build up. That’s frequent enough and long enough to grow some solid muscle mass and take your strength up to 11. We’ve covered all of your major muscles – chest, back, shoulders, arms and legs. You’ll be focusing on mostly large, compound exercises, but we’ve sprinkled some isolation lifts in there too, just to target each muscle optimally. We’ve ordered each workout so that you follow a strategies order of exercises. Going from upper body to lower body and from anterior to posterior means minimal residual fatigue, and maximum results. Aim to complete 3 sets of 8-15 reps for every exercise. Don’t be too concerned over rest periods – rest as long as you need to lift heavy. Start the program with weights you can only just squeeze 8 reps out with. And stick with those until you reach 15. At that point, you should increase the weights to bring you back down to 8 again.